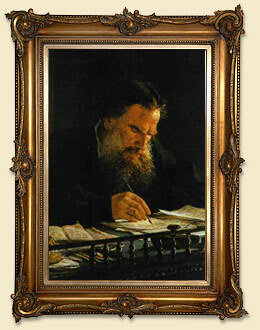 Widely known as one of the greatest authors of all times, and with his novels War and Peace and Anna Karenina to be on top of world fiction literature, Leo Tolstoy's personality remains highly controversial because of its dual nature and the way it evolved during his middle and late years. An aristocrat by birth, who renounced wealth and turned to peasant life, a man who used to indulge in sensuality but became a strict puritan, a brave soldier and a person of extraordinary vitality who was extremely afraid of death, and a Christian who rejected and disputed the institutions of the Church and the government, and came into direct conflict with the social, political and religious systems of his time even with his own family. Tolstoy was not only a writer. He was a great moral philosopher, a truth seeker, a deep religious thinker, and an anarchist who advised his followers not to support or vote for governments that used violence in order to enforce the law, not to serve their military service and not to recourse to courts for justice. As his beliefs were dramatically changing, and his existential despair deepened, he frantically searched for spiritual answers. The official church bitterly disappointed him and after criticizing and accusing the clergy of being corrupt, he was excommunicated by the Russian Orthodox Church. He, then, formed his own Christianity that was based on five simple tenets: live a life without anger, live a life without lust, avoid taking oaths and promises, love your enemies, and do no combat evil with evil. It was this last doctrine of non-resistance to violence that, along with Thoreau, inspired Gandhi in his nonviolent movement in India. Lev Nikolayevich, Count Tolstoy was born on September 9th 1828, on his family estate in Yasnaya Polyana, in the Province of Tula, about 160 km south of Moscow. 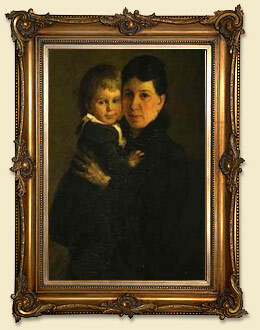 He was the son of a rich landowner, but was really unfortunate to lose both his parents when he was still a young boy. He was brought up by his aunts and was privately taught at home until the age of 16, when he entered the Kazan University to study languages and law. However, he did not manage to graduate, as he was very disappointed by the formalities of education at the University, and in 1847 he returned to his estate determined to educate himself in a way more suitable to him. Instead, he spent most of his time socializing, gambling and leading a wild life in Moscow and St Petersburg. In A Confession, a small biographical work published in 1882 Tolstoy wrote: I killed men in war and challenged men to duels in order to kill them. I lost at cards, consumed the labour of the peasants, sentenced them to punishments, lived loosely, and deceived people. Lying, robbery, adultery of all kinds, drunkenness, violence, murder--there was no crime I did not commit, and in spite of that people praised my conduct and my contemporaries considered and consider me to be a comparatively moral man. So I lived for ten years. The opportunity to change his life came in 1851, when he decided to enlist in the Caucasian army, following his brother Nikolay who was an officer there. It was also an opportunity to get to know the simple people who lived a nomadic life and suffered all kinds of hardships to defend their villages. During his time in the army, Tolstoy started writing his autobiographical trilogy Childhood (1852), Boyhood (1854), and Youth (1857), while the battle to defend Sevastopol, in the Crimean War, inspired him to write the Sevastopol Sketches (1855-1856). In the years to follow, 1857 and 1860-61, he traveled extensively around Europe where several liberal Russians had gone to escape the oppressive Russian political regime. He studied the educational systems in Europe and he met some great minds of the time like Victor Hugo. When he went back to Yasnaya Polyana he opened several schools for the peasants' children on his estate. He thought that education had to be accessible to all and not only to the aristocratic elite. He supported free community education and the freedom of students to choose the material and the time of learning because he believed that forced learning was just a waste of time. In 1862, at the age of 34, Tolstoy married 18-year-old Sofya or Sonya Andreyevna Bers. The first years of their married life were happy and prosperous and they had 13 children, five of whom did not survive. Sonya helped Tolstoy with his rough notes, his correspondence and the affairs on their estate, leaving him precious time to plunge into his writing. He started writing the four volumes of his epic War and Peace in 1862 and finished it in 1869, and Anna Karenina, which is still thought to be the greatest work of realist fiction ever written, from 1875 to 1877. Tolstoy also wrote three plays, a lot of short stories, such as Two Hussars, The Kossacks, Master and Man, Father Sergius, and Hadji-Murad, most of which dealt with moral problems and the influence of materialism on simple, unspoilt men. His non-fiction work, such as, What I believe, The Kingdom of God is Within You, What Is Art, and The Gospel in Brief, dealt a lot with social, moral, religious, spiritual even artistic matters. In November 1910, Tolstoy decided to travel away from home to find a quiet refuge closer to God. He was accompanied by his youngest daughter Aleksandra and his doctor, but he caught pneumonia and died on November 20th at the remote railway station of Astapovo. He was 82 years old. After the age of 50 and despite his fame, his wealth and his happy family life, Tolstoy became dissatisfied with himself because he hadn't managed to probe into the purpose of life and hadn't found the answers he was looking for. He couldn't find much help in the writings of philosophers and theologians, but there was a clue in the simple life of peasants and their belief in serving God and their fellow men. He became convinced that the teachings of Jesus held the truth he was looking for, but their original substance was lost in the authority of the church. In 1893, and based on Luke's Gospel, he wrote The Kingdom of God Is Within You, which deeply moved Mahatma Gandhi when he read it. Gandhi wrote to Tolstoy about his Passive Resistance Movement and their correspondence led to a warm friendship and Tolstoy's work A Letter to a Hindu in 1908. His everyday life changed a lot, too. He used to dress in peasant clothes, he became a vegetarian and gave up smoking and drinking alcohol. He refused to be served, he cleaned his own room, worked in the fields, tried to live in complete chastity and got involved in philanthropic activities. All these made his reputation spread not only throughout Russia, but in the rest of the world, and there were hundreds of people, "The Tolstoyans," who daily visited his estate to meet him, and who were willing to give up all worldly pleasures and live according to his principles. 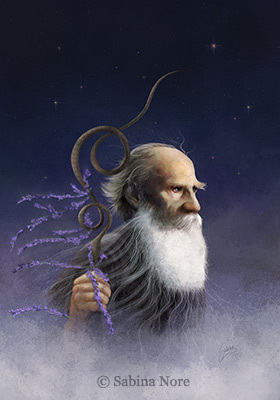 But there was a contradiction between the life of ease and wealth his family lived and the ascetic, religious life he, himself wanted to follow. He tried to divest himself of his own property, but his family made him transfer his estate and loyalties to them. He wrote pamphlets and articles with his views on political power, war, social and government practices of violence, and asked for reforms. Tolstoy's thought is closely related to the concept of liberalism in the 19th century. He wanted to help humanity fight oppression of the many by the few, but contrary to the Marxist theory that advocated the violent class struggle, Tolstoy based his dream of a unified mankind on the observance of the supreme law of love, away from all forms of violence. He was certain that authority was immoral and the source of people's misery, while he viewed individuals as willing and capable of moral development. Tolstoy was a proponent of the freedom of expression through which humanity could be served and assisted in establishing the kingdom of God, the kingdom of love, peace, equality, truth and justice. The second video shows a rare film footage of Leo Tolstoy at the end of his life.